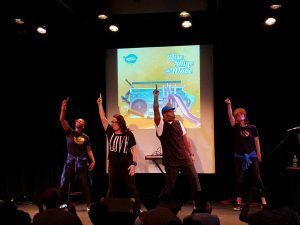 Kids Music Takes New York City by Storm! Last weekend the GRAMMY awards left the sun and warmth of Los Angeles to celebrate the big 6-0 back home in New York City. Throughout the City that never sleeps the return of the awards were celebrated and it seemed like everywhere you went, there were announcements for concerts being held during the weekend featuring everyone from Fleetwood Mac to Childish Gambino. But it wasn’t just musical acts for grown-ups in town. NYC was also alive with the sound of children’s music. 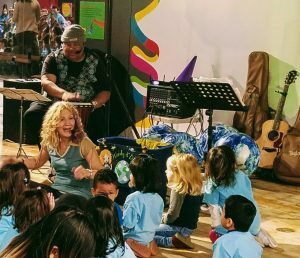 The first of the two children’s music concerts that I was able to attend over the weekend was held Friday morning at the Children’s Museum of Manhattan. Sponsored by Kids Rhythm and Rock, Chicago’s own Wendy & DB performed two concerts to benefit the museum, VH1 Save the Music and Jane Goodall’s Roots & Shoots. These engaging, interactive performances had children up and dancing as they heard songs including, “Pink Flamingo,” “Watersong,” “Girl Superhero,” and the blissfully exhausting “HopScotch.” I don’t know about the little ones, but after those high energy performances, I was just about ready for a nap. 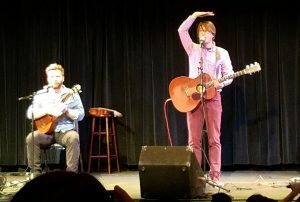 The second children’s music concert was on Saturday at New York’s Symphony Space as part of their “Just Kidding!” series. 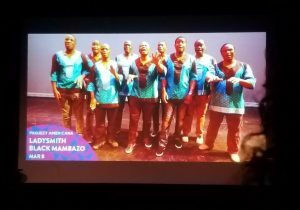 This concert, “Best of Family Showcase!” featured live performances by four of the five nominees for the Best Children’s Album GRAMMY. 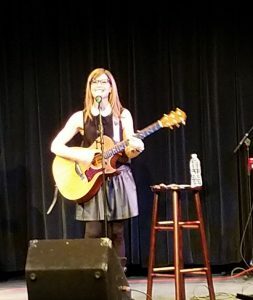 Hosted by Sirius XM’s Kenny Curtis and Mindy Thomas this hour-long musical extravaganza was a true delight from beginning to end. 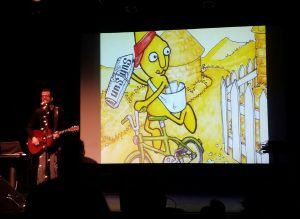 Up first was everyone’s favorite drop of sunshine, Gustafer Yellowgold. 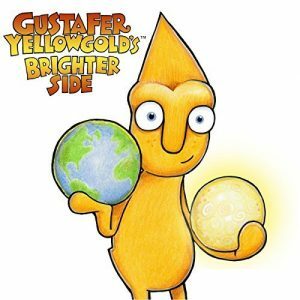 Aided by his human friend (and creator) Morgan Taylor on guitar and vocals, Gustafer’s escapades from Brighter Side were brought to life for all to enjoy. Those awful “Hot Nights” and how fun it is when “I Jump on Cake” were just a few of the insights shared into Gustafer’s one-of-a-kind life. Next up was Chicago-based Justin Roberts. 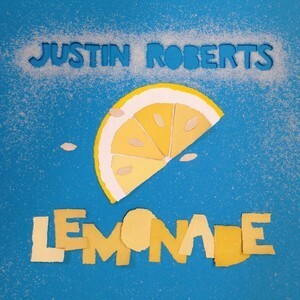 Accompanied by producer Liam Davis, Justin performed the very relatable “Must Be This Tall” and “Dodgeball” before inviting Jason Rabinowitz from The Pop-Ups and GRAMMY winner Tim Kubart on stage to join in the title song from Justin’s album, Lemonade. 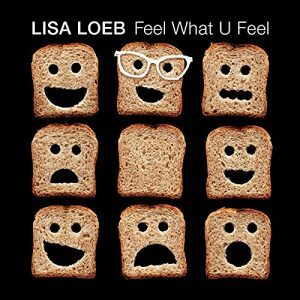 Lisa Loeb, who would go on Sunday to win the GRAMMY award, gave a lovely performance of several of the songs from Feel What U Feel including “Say Hello” and “Moon Star Pie (It’s Gonna Be Alright)” while accompanied by her co-producer Rich Jacques and her keyboardist. The final performance of the all-star concert brought the crowd to their feet when Alphabet Rockers took the stage. 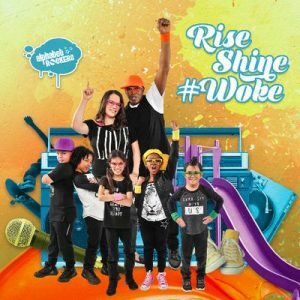 This Oakland-based crew fundraised so that all of the kids who appeared on their nominated album, Rise, Shine, #Woke could make the trip to perform in New York. And perform they did! This Best of Family Showcase! was filled with energy and a love and understanding of all those things big and small that are important in the life of a child. It’s impossible to predict what performers will appear at the showcase next year, but the one thing you can guarantee, is that when it comes to children’s music, whoever gets nominated will be absolutely amazing. 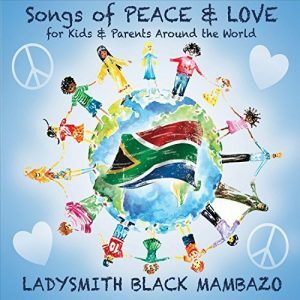 Last year was full of fantastic, smart, entertaining music for children. If 2018 is even half as good, it’s going to be a great year. 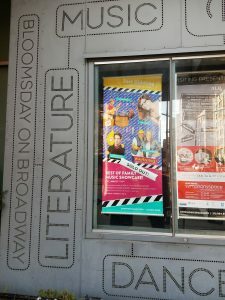 Thank you New York City for embracing children’s music and giving it such wonderful places to shine!! This past year was another amazing one for children’s music. Whether you like the more traditional kids music, jazz, rock, folk, EDM, pop, world music or the blues, there was something for every family. To be considered for the 60th GRAMMY awards, albums had to be released between October 1, 2016 and September 30, 2017. Below are the five albums that are nominated for Best Children’s Album (click on the blue titles to see my reviews). The GRAMMY awards will be announced on Sunday, January 28.